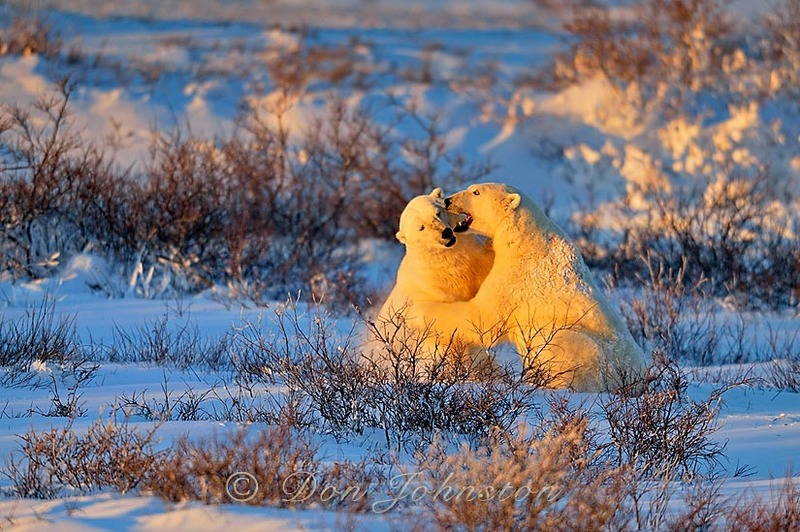 Every year the polar bear viewing season culminates with a tour to Cape Churchill in Wapusk National Park, Manitoba. 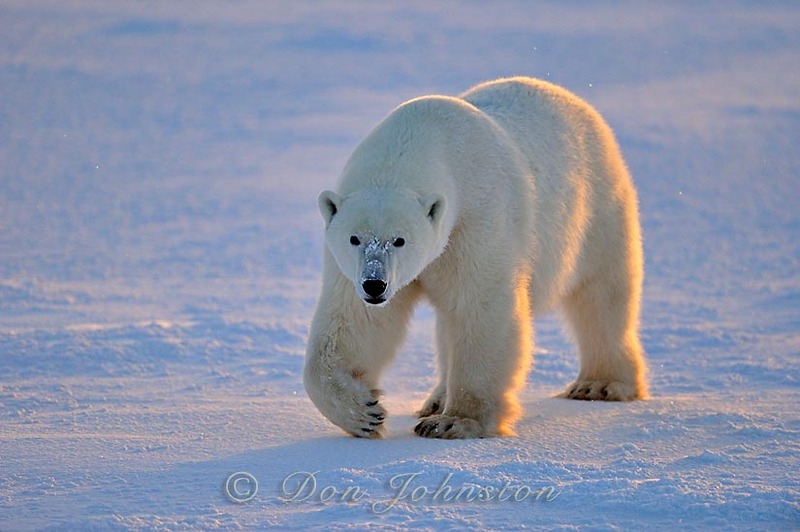 The adventure tour is run by Frontiers North and it is first class in terms of accommodation, food and polar bear viewing. 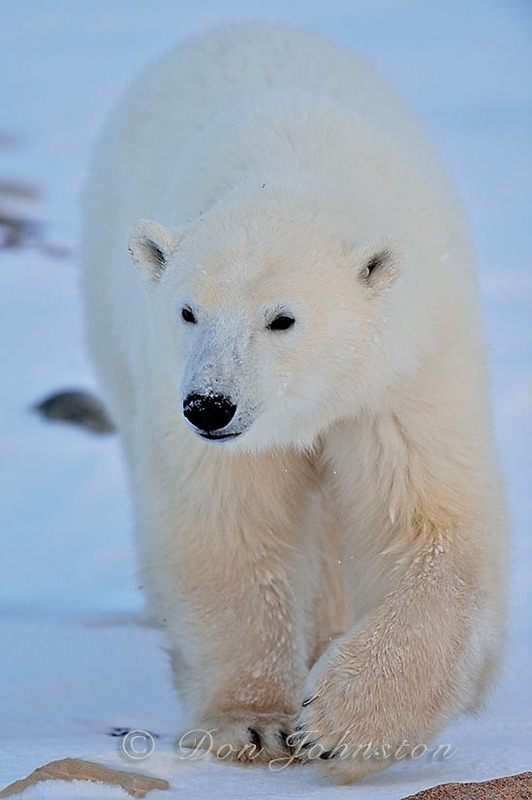 The Polar Bear Lodge consists of 4 modules on wheels, together with some modules for staff and support. 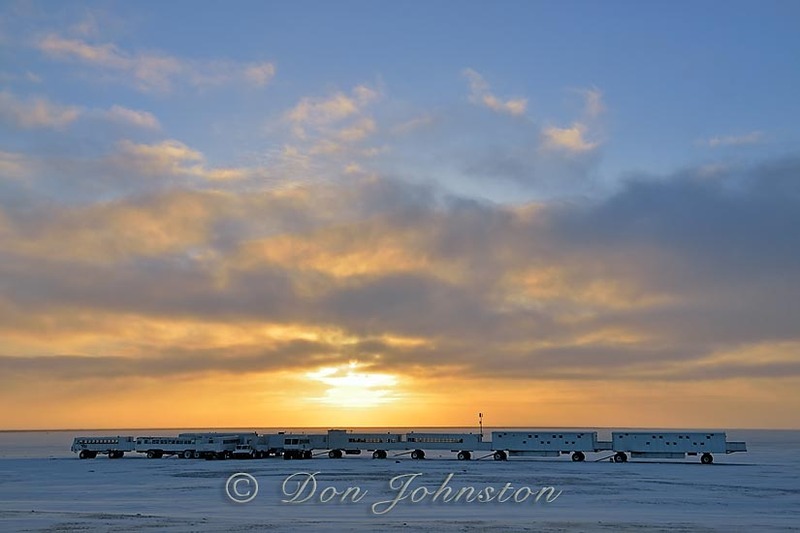 Two bunkhouses, decked out in Hudson Bay colours, a lounge and a dining car, along with the support vehicles are towed by Tundra Buggies, in a convoy 35 km from the Churchill Wildlife Management Area to Cape Churchill in Wapusk National Park. The logistics of such a trek are awesome. 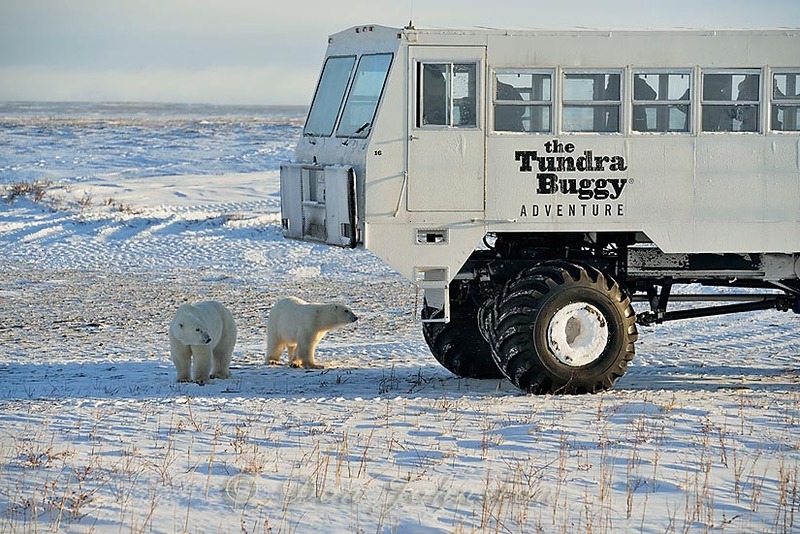 There has to be enough ice to support these large vehicles as they are towed across shallow bays, yet the operators cannot schedule this tour too late in the season otherwise the bears will have migrated out onto Hudson Bay. 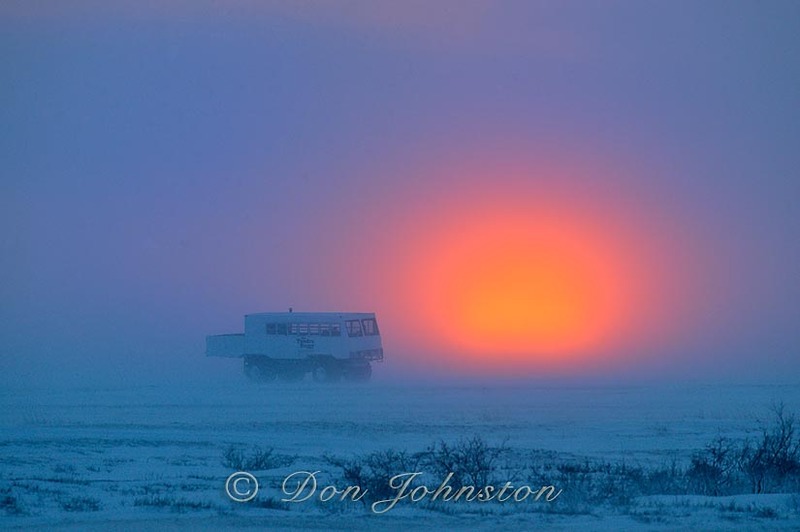 About thirty paying clients from North America and around the world met in Winnipeg, flew by charter to Churchill, were outfitted in complimentary Canada Goose parkas, and were towed out to the Cape for six days of dawn to dusk wildlife and scenic photography in a bleak, windswept subarctic environment. The friendly, professional staff of Frontiers North tended to all of our needs. 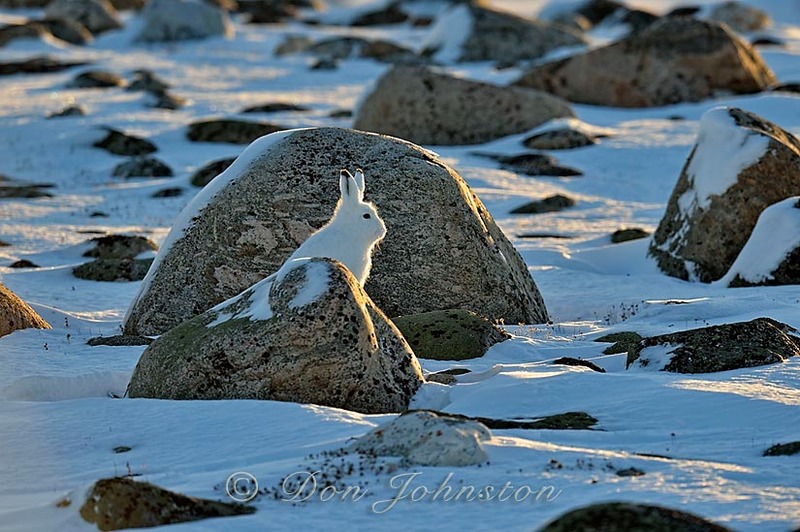 We had excellent light on some days and encountered a nice variety of wildlife, from arctic hare, arctic and red foxes, snowy owl, ptarmigan and the bears. Big males together with mothers and their cubs. For the most part the bears looked fit and healthy. 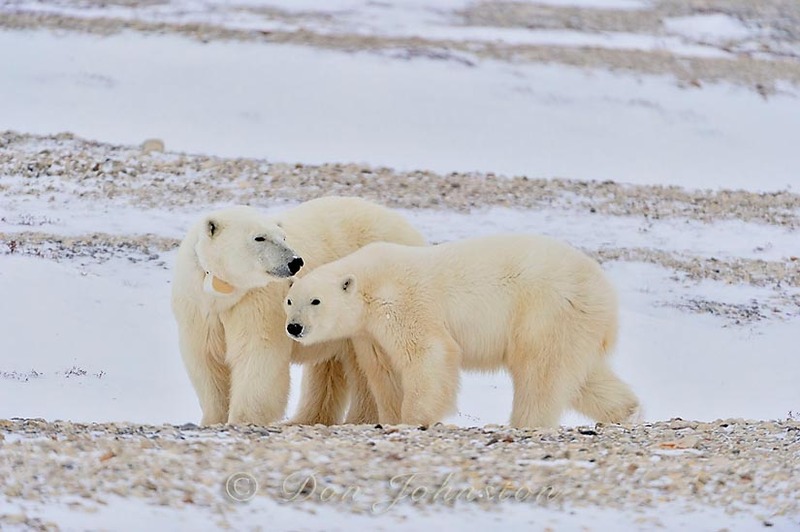 Part of the expedition included a group from Polar Bears International, who provided expert background updates on the status of polar bears, sea ice and the research that is conducted year-round on the bears. 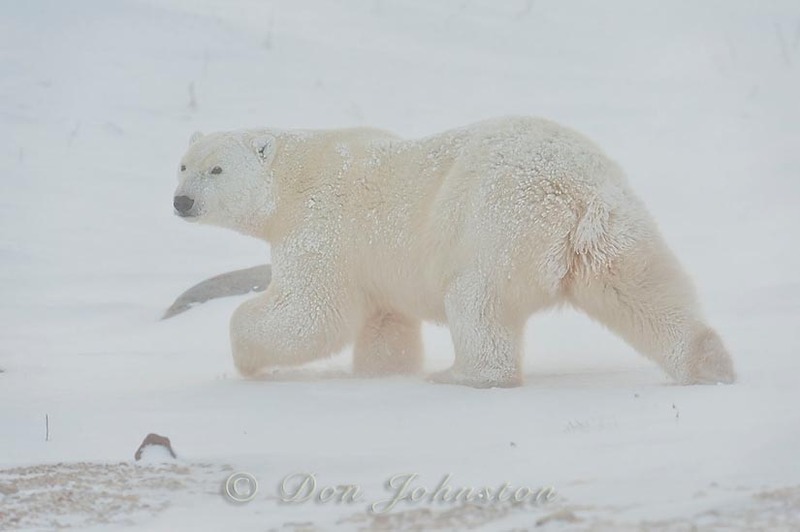 Our group of nine was recruited by Canadian wildlife photographer John Marriott who was unable to be with us, due to unforeseen family circumstances. 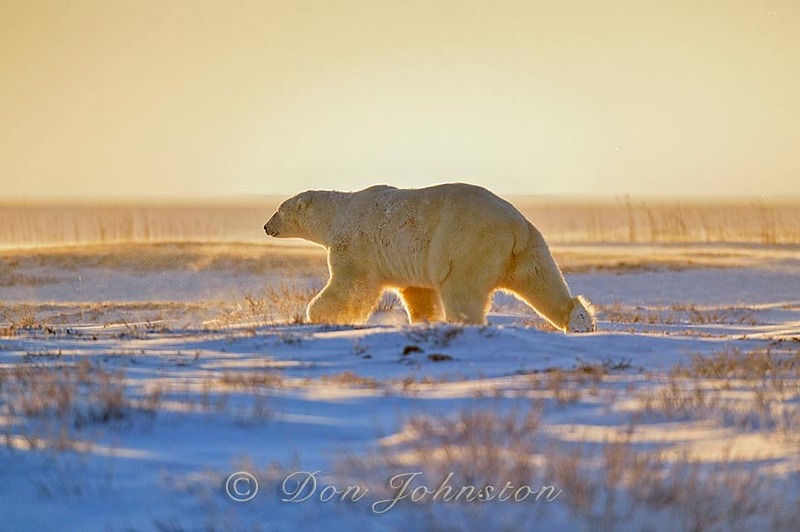 John recruited a dynamic, knowledgeable and fun-loving group of wildlife photographers who spent 8 days together, in the capable hands of driver Bob Debets and guides Haley, JoAnne and pro photographer Richard Day who each accompanied us every third day. 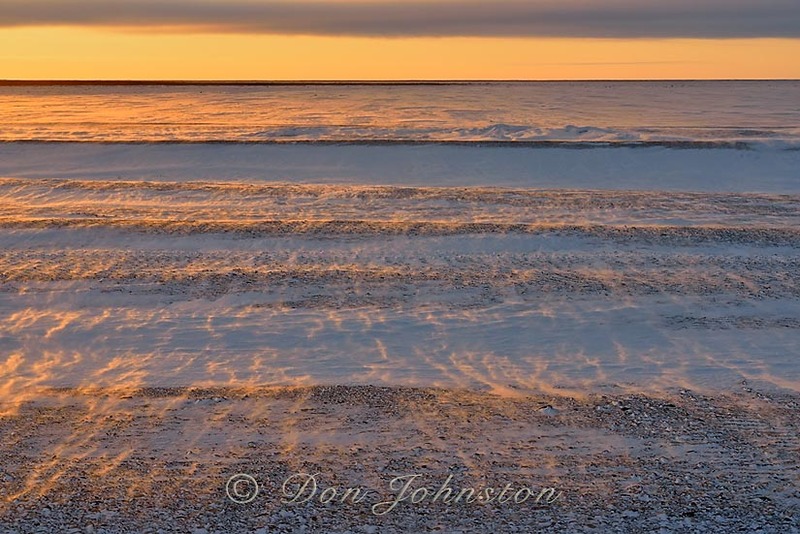 The sun rises about 8:30 in November in northern Manitoba and sets about 3:30. The wind blows constantly but we were comfortable in our Tundra Buggy, even though the temperatures (excluding wind chill) were in the -20s Celsius. Photography was done through open windows, using bean bags for support of our long lenses. There was an option to photograph from the back deck. I sometimes chose that option, then being able to set up a tripod. 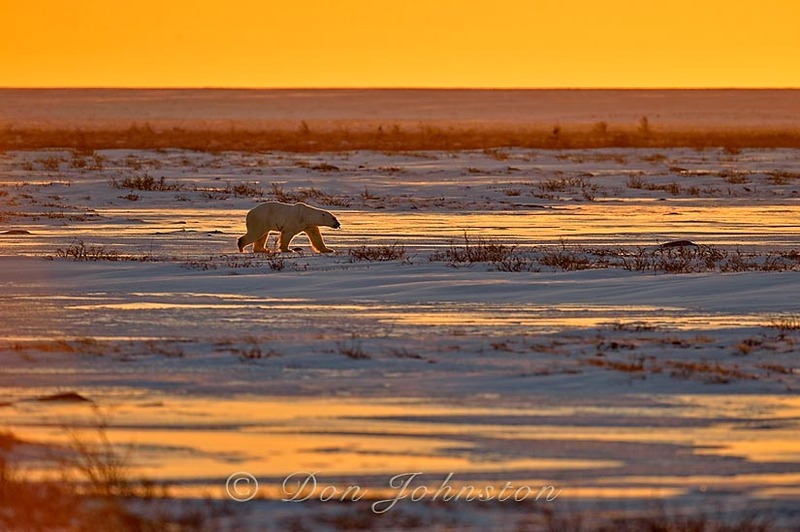 One of the attractions of the Cape Churchill tour is the opportunity to see and photograph polar bears at first light in the morning and last light near sunset. We were fortunate this year to get both. 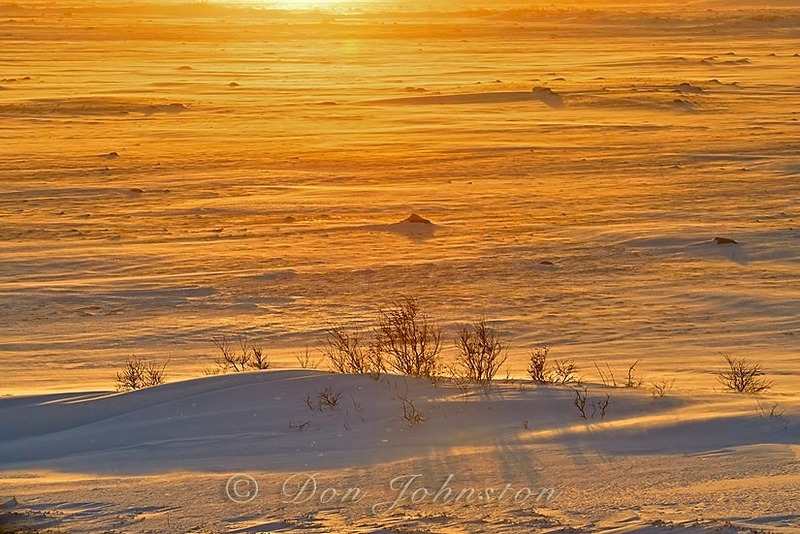 The red fox might be an indication of climate change, expanding its range northwards into the arctic. 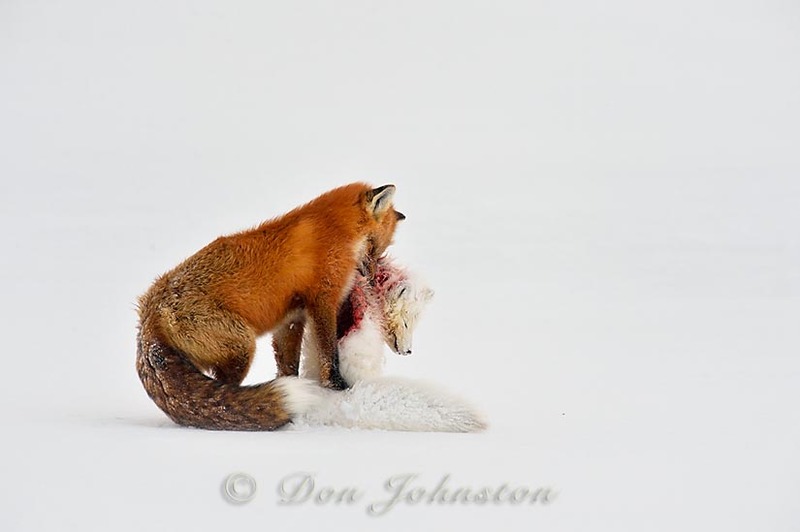 We witnessed the red fox dismembering and eating an arctic fox it had killed near the Cape. Disturbing but compelling to see. 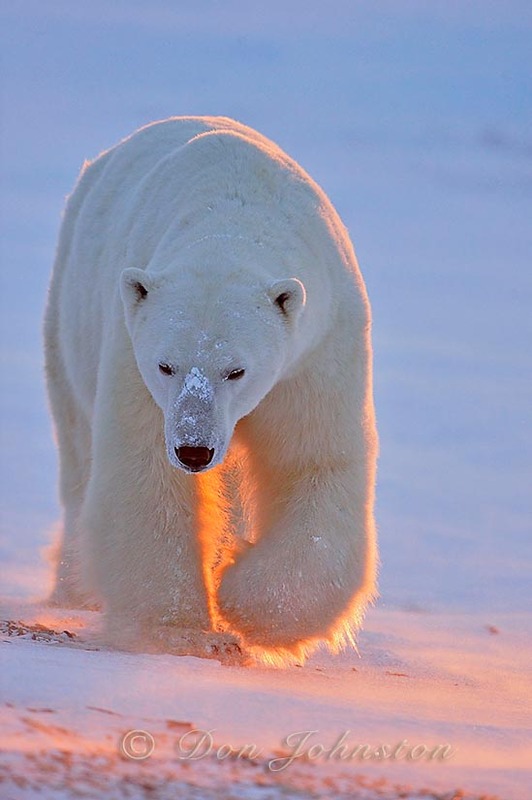 Some bears were nicknamed BABs- “Big A** Bears”. 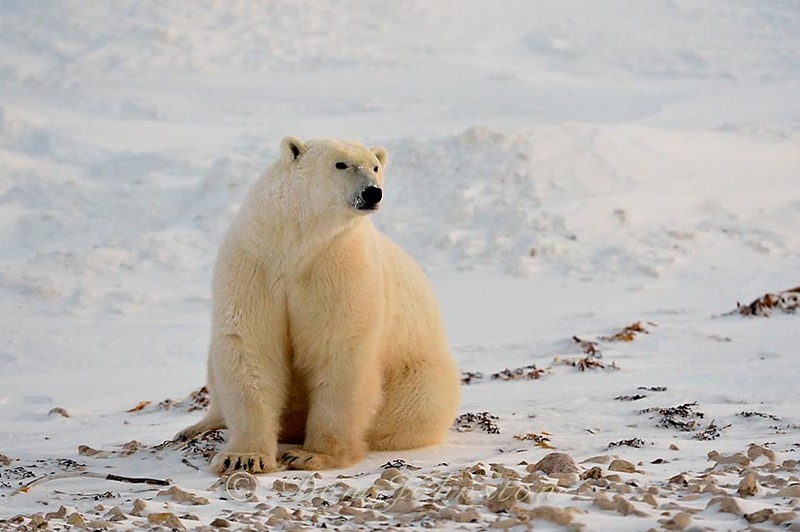 Cape Churchill is famous for its big males. 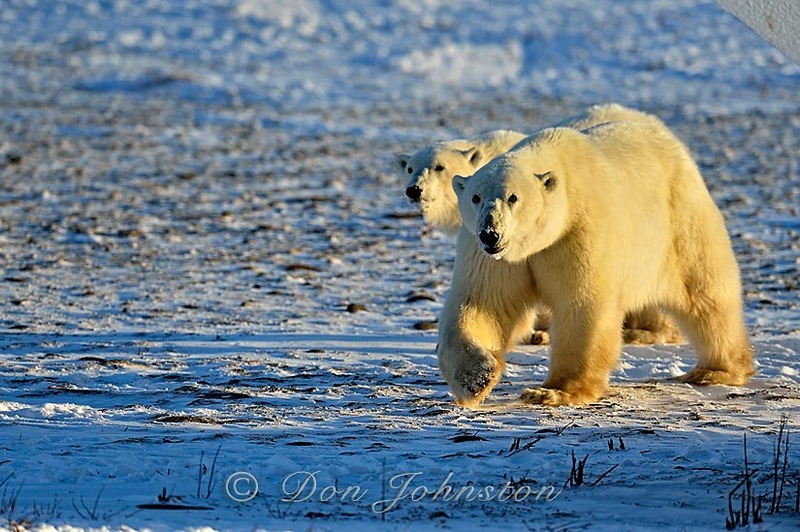 These guys steer clear of the town of Churchill, choosing to migrate out to the ice through Cape Churchill instead. 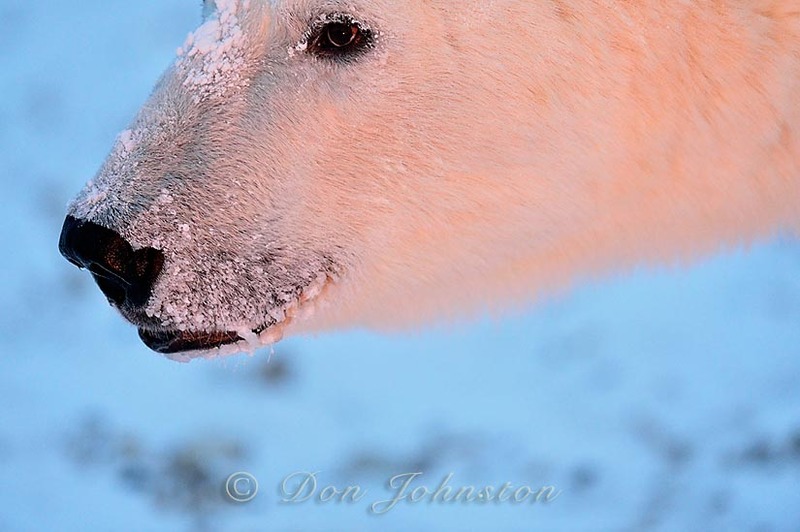 Once the Big Males have moved through, they are followed by females and cubs. 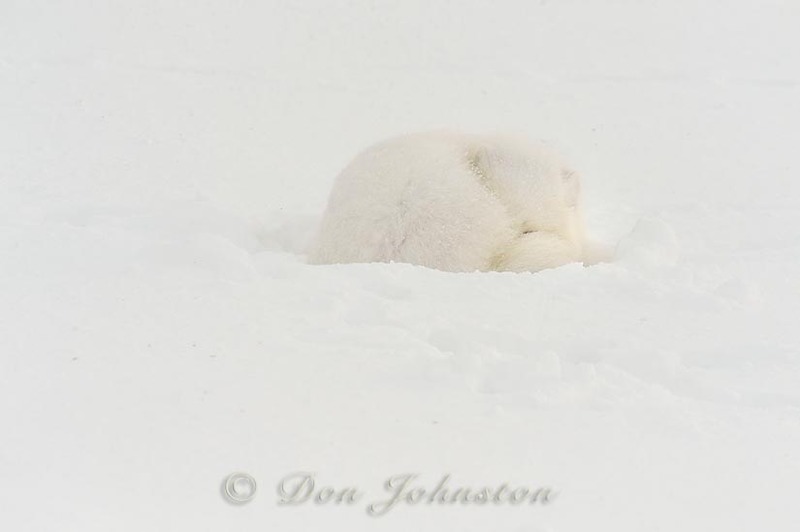 It appeared that the polar bears were going to have a slightly extended ice season this year. I had a dream (nightmare?) 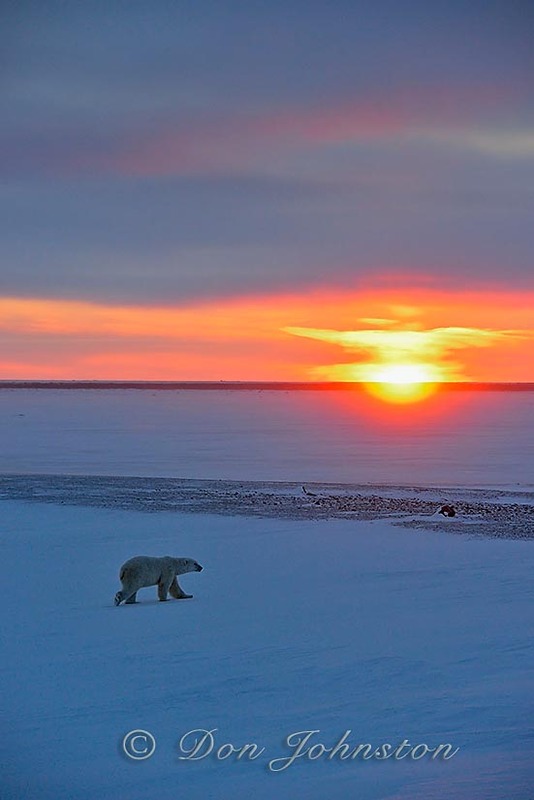 before the tour began of seeing the last bear at the Cape disappear into the ice fog as it receded from sight, leaving us on land as it returned to its seal hunting territory in Hudson Bay. That dream became a reality on our last day at the Cape.